Capstone Accountants is an accounting firm with a team of dedicated professionals providing quality, personalised financial guidance to its clientele both individuals and businesses. Its expertise range from basic tax management and accounting services to more in-depth services such as financial statements, financial planning and advisory services. We are well established and respected in our community. Capstone Accountants was founded in 2013 in London and we have strived to focus all our energy and attention on the success of our clients. We believe in the value of relationships and view our clients as our partners in business. We pride ourselves on being able to offer fresh perspectives and practical advice to clients delivering the idea and solutions in the most efficient, effective and timely manner. 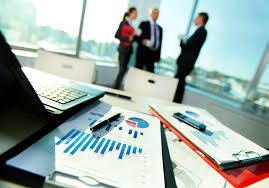 We help our clients to minimize taxes, accumulate wealth and plan for their retirement and estates. Practical experience in both accounting and tax compliance offers clients a two-fold advantage: Consulting Services help clients successfully operate and expand their business, while high-level tax advisory services help minimize taxes to retain profits. Speak to one of our qualified Accountants today to learn more about how our core values can be turned into real benefits to you and your business.